Part of the Plant Materials Center's mission is to make an appropriate supply of high quality seed available to growers, seed that is well-suited to Alaska's climate and soils that will produce economic benefits for the growers. Seed conditioning and handling is a critical step in producing a high-quality seed product that is free of contaminants. 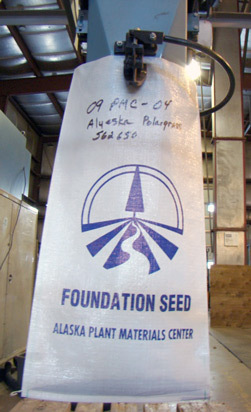 The seed cleaning facilities at the Alaska Plant Materials Center handle not only seed from our own fields but also seed from the Alaska Seed Growers Association, private companies and agencies. 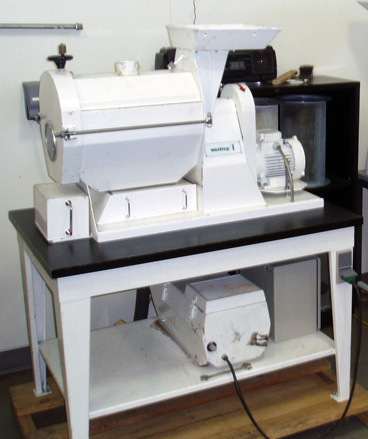 There are two main seed processing facilities: The Seed House that processes lots of seed over 100 pounds and the Small Seed Lot for anything less. Both facilities operate primarily in the winter months when the field activities are completed. Some good seeds are removed along with contaminants in almost every conditioning operation and this loss must be kept to a minimum. 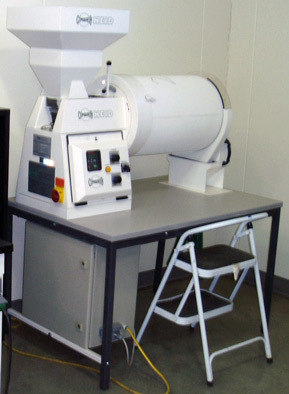 Improvement of seed quality through removal of decayed, cracked, broken, insect-damaged, or otherwise injured or low-quality seed. The highest capacity consistent with effectiveness of separation. Labor is a direct operating cost. Typically, more than one machine will be necessary to completely condition a given seed lot to maximum purity and germination. Seed can be separated by physical characteristics such as size, length, width, thickness, weight (specific gravity), surface texture etc. Each piece of equipment works with one or more of these physical characteristics to separate good seed from the rest of the contents. The handler will choose the sequence of equipment based on the characteristics of unwanted material and condition of the seed. 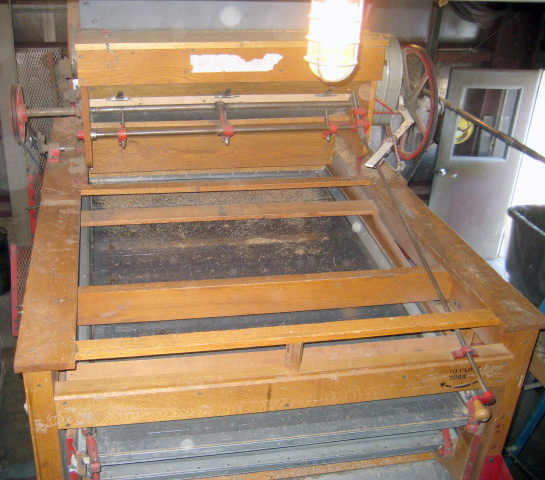 The 29-D performs the bulk of the large-lot cleaning, using air or brushes to process seed. 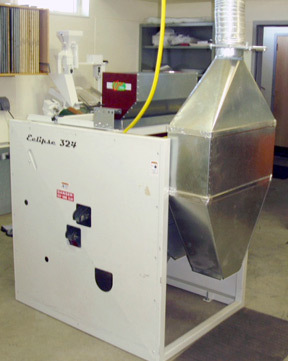 The Air Separator uses a series of chambers with variable air flow to separate seed by weight. 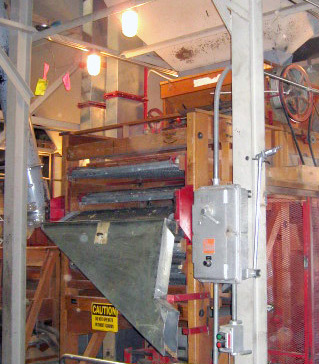 The Screen Separator uses a series of screens to sift seed by size and shape. Rotating stiff brushes remove awns, hairs or other plant parts that can cause seed to clump and cling together. 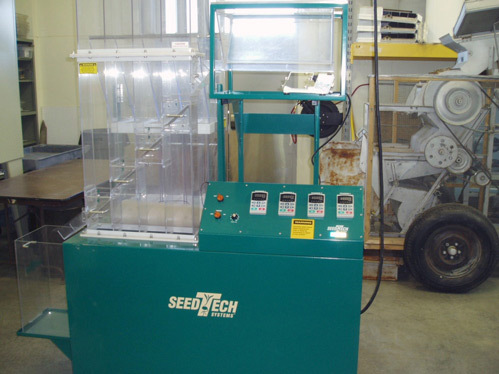 The Scalper seed cleaner performs the final step of the large-lot cleaning, using screens to separate seed from inert material.